Bronze is one of the earliest metals known to man. It is defined as an allow of copper. Art foundries commonly use modern bronze consisting of 95% copper, 4% manganese, and 1% zinc. However, it may also include small amounts of manganese, aluminum, and nickel. Because bronze contains a large amount of copper, it oxidizes over time when exposed to air, but only on its outer layer. This oxidation consists of copper oxide which eventually becomes copper carbonate. The oxide layer protects the interior metal from further corrosion. However, if chlorides are present (as from sea water), copper chlorides form which can cause “bronze disease”, a condition in which corrosion works through the metal destroying it. Frostad Atelier Foundry can restore oxidized bronze back to its original condition. With large, monumental sculptures that are permanently installed, we restore the sculpture on site. The bronze is first heated with a torch in order to “open pores” and weaken the copper oxide. This is followed by hand scrubbing to remove the oxidation. The sculpture then undergoes repatinization. Finally, a sealer is applied to the new patina finish to protect the surface of the sculpture and lengthen the time before oxidation again occurs. The examples below demonstrate the benefits of bronze restoration. 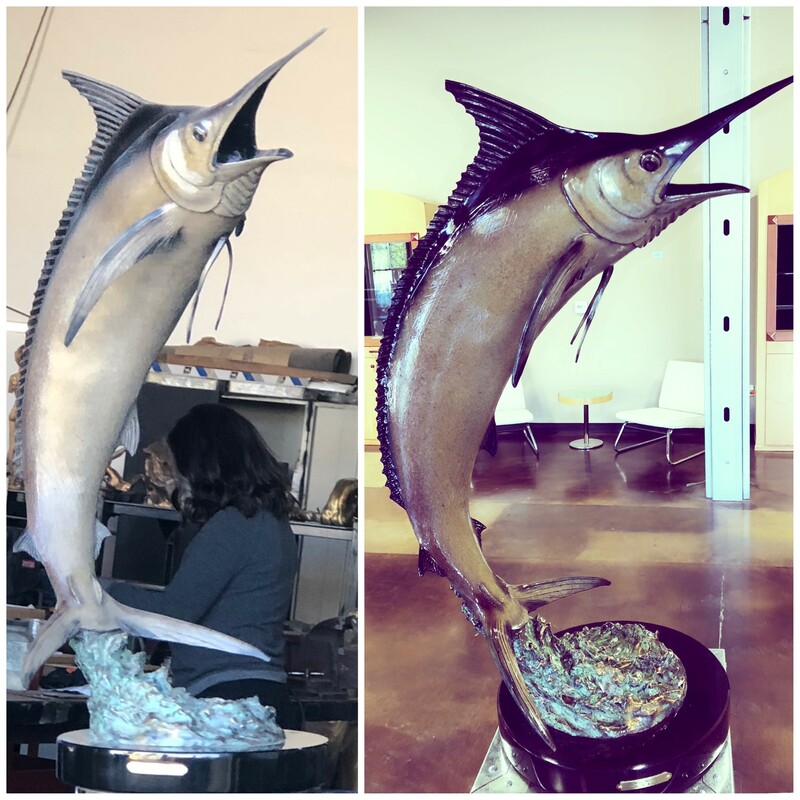 The “Marlin” sculpture was restored in the foundry. The sculpture was not badly oxidized, as it had been stored inside a building, but the original patina color had faded, as the sculpture had not been properly maintained by its owner. The owner wanted the original blue color of the marlin to again “pop”. 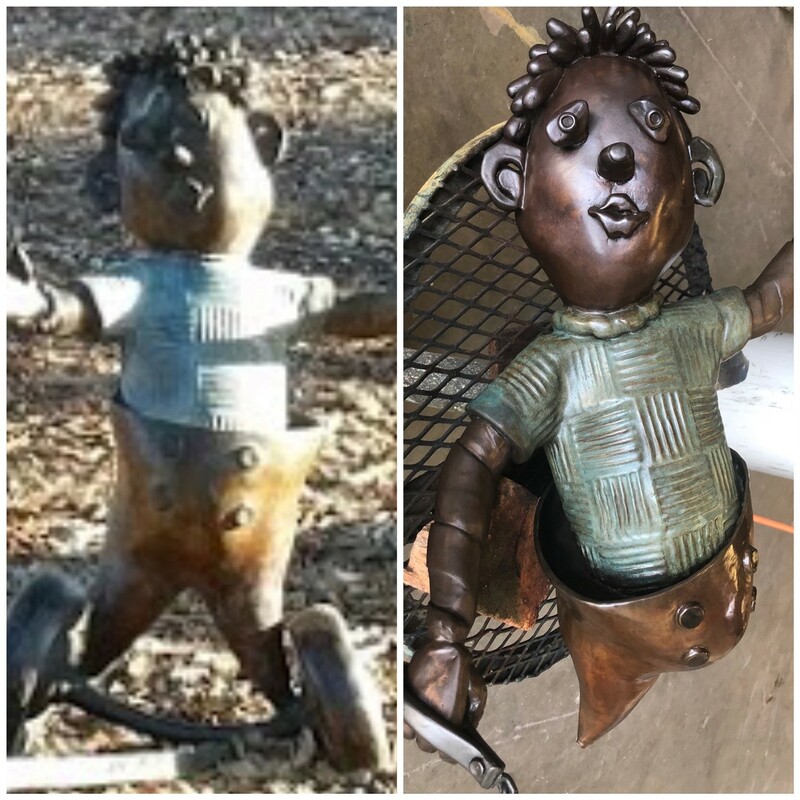 Frostad Atelier Foundry was contracted by the City of Sacramento to restore this 4-foot sculpture that was badly oxidized in Linden Park, Sacramento. The sculpture was restored onsite. Frostad Atelier has restored bronze sculptures in Kentucky, Virginia, and North Carolina. If you have a restoration project, please contact the foundry and we will request photos in order to properly bid the project. But we can work in any part of the United States to restore any size sculpture. 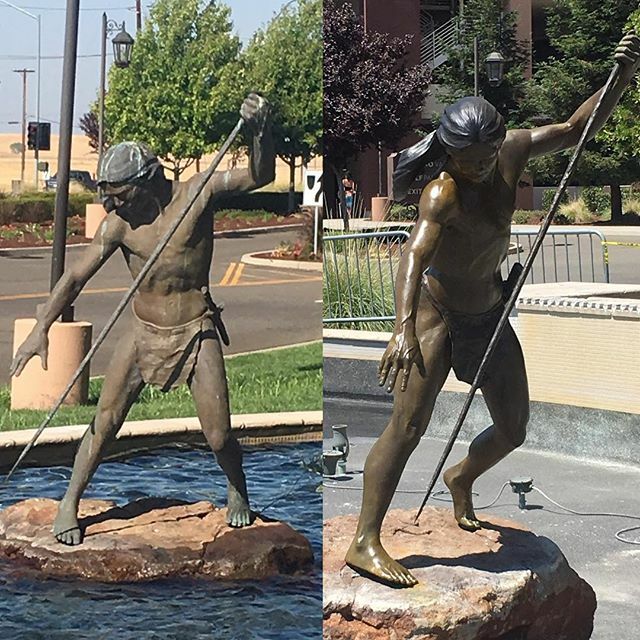 Thunder Valley Indian Casino in Lincoln, California contracted Frostad Atelier Foundry to restore their large collection of bronze sculptures surrounding the casino and hotel. The sculptures were badly oxidized, but the foundry was able to restore the sculptures back to their original condition on-site. 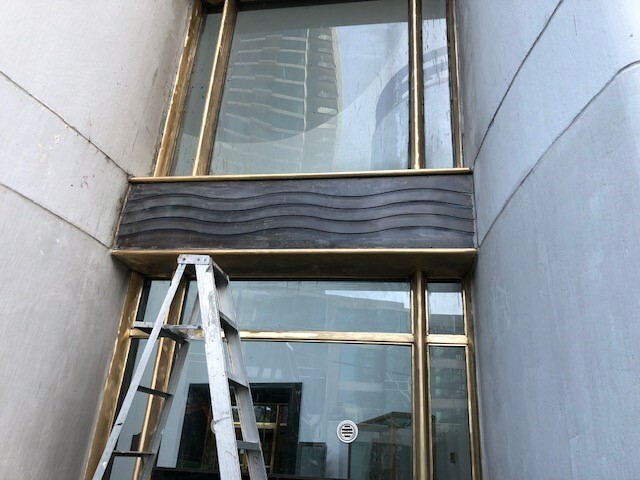 This photo is an example of how we can restore the bronze on a building. 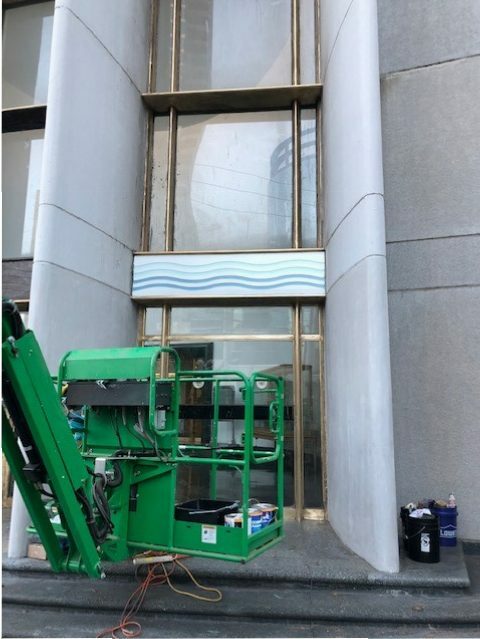 This project was on the Sailors Union of the Pacific building in San Francisco where the bronze had been painted over years ago. First the paint had to stripped. Then the bare metal was finished, smoothed, and repatined. Finally, the bronze was sealed.